This is how Novelyn Donoso, 34, one of the scholars and alumni of SM Foundation Inc., described the father of Philippine modern retail, the late Henry Sy Sr. The latter died “peacefully in his sleep” on Jan. 19 at the age of 94. For Donoso, Henry Sy was more than a Philippine business tycoon. He served as a father who, though she had not met him often personally, provided her with a lot of opportunities and instilled in her the ideals of success. “He was a provider, but he was one nga dili ka niya i-spoil (he was the type who did not spoil). Mu provide sya sa imoha (He would provide for you) but you had to stand on your own. Just like what he did. You still have to work hard so that in the future you would also be able to provide for your family,” she said. Henry Sy’s story was a rags-to-riches tale. After choosing to remain in the country when his family went back to China, he had to face several rejections and hardships before achieving all of the things he has now. Donoso hails from Brgy. Guba (a remote village in Cebu) and was born to a family whose primary source of income is agriculture. She admits that life before was hard and that being an SM scholar became her ticket to a good future. “Sauna sa time sa akong mga igsoon, naa pa toy daghan harvest sa saging kay nindot pa ang weather, but there came a point, nga lisod na. Nagkautang-utang na and kung mapaeskwela man gani ko nila og college kay education nya sa public. The thing now, is ako makapa-eskwela nako sa akong anak sa private school (During the time with my siblings we used to harvest plenty of bananas during good weather but there came a point when it became difficult. We were in debt. If ever they would send me to college it would be in a public school. The difference now is that I can send my children to private school),” she explained. Donoso now works as an accountant of a food and beverage company. She graduated in college and as an SM scholar in 2005. The same goes with Bobby Apas, 30, who believes that education is everything. “Education is equal to your future. There is no way that I could survive in this life if I didn’t have this opportunity to graduate. No words can measure how thankful I am to him. I don’t know where I would be if I was not one of his scholars. Henry Sy is more than a hero,” he said. 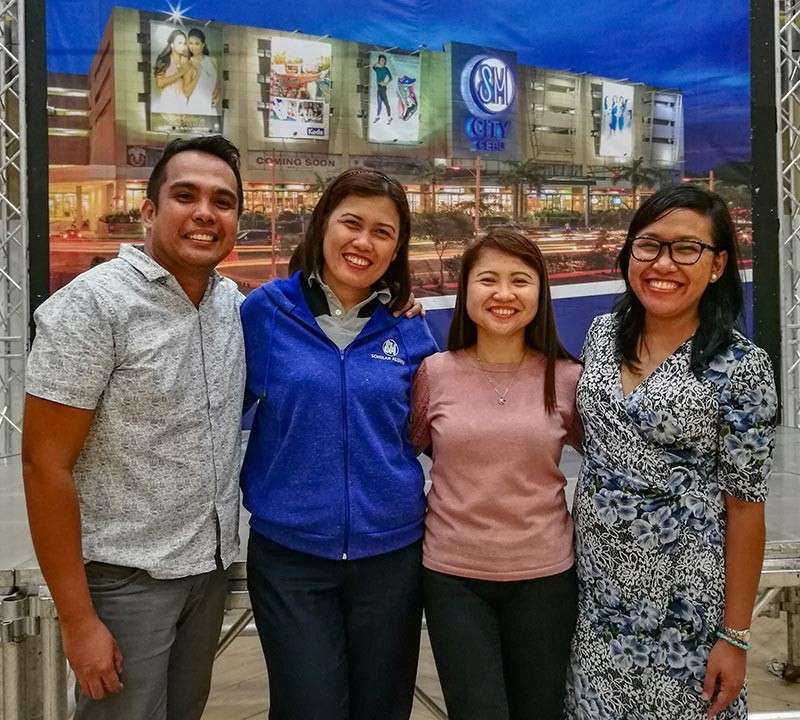 According to Michelle Mae Olvido, PhD, 29, and one of the SM Foundation alumna, Sy was living proof that social status is not a hindrance to reach out to other people. “Sa iyang status nga dato siya, naa bitaw siyay way of reaching (out) bitaw nga nakaabot gyud siya nako and nakaabot siya namong uban. (Despite his elite status, he had a way of reaching out to us). His modeling and the inspiration that he gave to me personally, I am blessed,” she said. “Ang nakakuan pa gyud is tawgon mi nga mga scholars by our first names. (What delighted us more was he called us by our first names),” she added. Emylou Cadalzo, 40, now a manager of a Japanese manufacturing company, expressed her gratitude at being one of Sy’s first 15 scholars in Cebu. She recalled her experience of seeing Sy, days before he died. “We are unfortunate financially, but of course, we were blessed. I met Tatang two weeks ago With my experiences in life, I can say that I am good in controlling my emotions but the first time I saw him enter the hall, I was not able to hold my tears. I was overjoyed. Grabe, it was the first time. I told myself before I will be 40 years old, I have to see Tatang in person,” she narrated. As a way of paying it forward, Cadalzo and Donoso said they are currently working on their “scholars for scholars” program. “We have launched the ‘scholars for scholars’; this is our gift to Tatang. The alumni created the project and right now we are working on having a seed fund to start our project,” said Cadalzo. “Hopefully nga ang legacy nga iyang gibilin nga mutabang is hopefully mao pod unta ang among mahimo as scholars (We are hoping that his legacy of helping will inspire scholars to do the same for others),” Donoso said.